Our training sessions can be customized for any size group. If you’ve got a large warehouse with multiple drivers, we can train them all at once. If you’re just looking to get certified yourself, give us a call at (704) 842-3242. Since there are so many types of forklifts and applications, OSHA requires that forklift operators are trained at their facility on the forklift they will be using. This online portion is focused on Stability and Capacity – more math and science applications in this one. Here we focus on Load Handling – how to approach, level, unload, etc. In Part 4, you’ll learn about forklift safety and lifting versus carrying loads. This section covers more safety topics like emergency braking, ignition, load positioning, etc. You’ll notice we talk a lot about safety! You’re finally ready to get buckled up in a forklift for the last test. 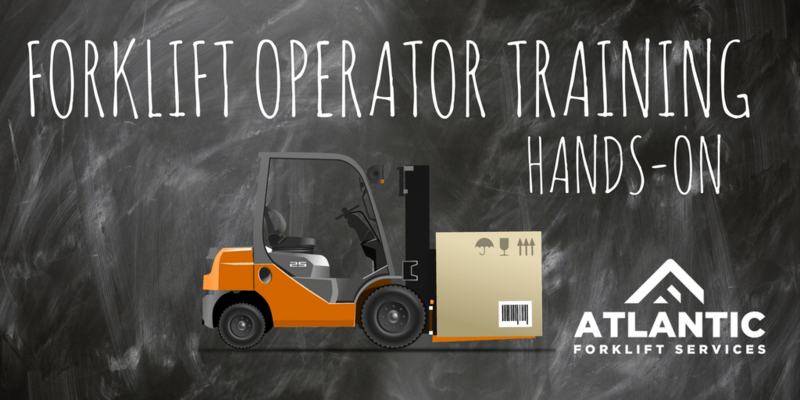 Train with a professional, starting with the inspection of course, and you can become a certified forklift operator! If you would like more information or want to get your team trained, call us at (704) 842-3242.